This is a really great book! This book is about a little boy who has no friends. His parents promise him a pet that would be one of a kind just like him. He began to dream about his special pet and by the end of the book he finds a special puppy who looks as lonely as he feels. I love that the story is told in rhyme and that the illustrations are so adorable. 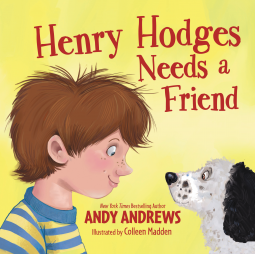 This is a great book for any child but especially great for any child who feels a little lonely. My kids all really love this book and we've been reading it every night for bedtime for over a week.